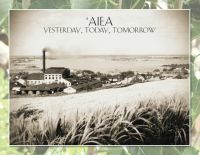 The ‘Aiea Community Association serves as the steward of the “Ipuka Pa Aiea” sign, located at the ‘Aiea offramp to the H-1 and Moanalua freeways at the corner of Moanalua Road and ‘Aiea Access Road. As part of its stewardship, the Association maintains the landscaping around the sign as well as the sign itself. The project is currently led by ACA members Kennard Chong and Wayne Suzuki, who actively organize monthly clean-ups of the gateway area. We have been blessed recently to have a lot of help in this effort from the Pearl City Lions Club and other community groups. If you are interested in helping out, please attend one of our monthly meetings or contact us directly.